Are publishers in a zero-sum pricing game with their readers -- a game of psyching them out? Or is a win-win game of cooperation on value exchange with their best current and potential customers a better way to make journalism sustainable? With doubts as to the future of advertising support, this question of how best to motivate direct reader payments is central to the future of journalism. 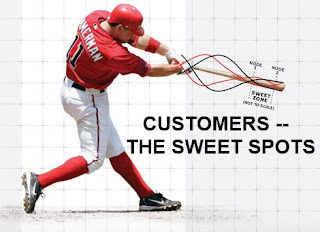 to cooperative, win-win relationships, where the publisher uses this technology to motivate the customer to participate in setting a price that both parties accept as fair value -- at least for the important subset of users who can be enticed to cooperate -- and it is those who are likely to provide the most Customer Lifetime Value (CLV). We can combine machine learning, predictive, and anticipatory analytics to optimize the value exchanged from this reader, on this device, coming from this platform, on this article, at this exact moment in time. In other words, a dynamic meter. I agree that a dynamic meter is central to the answer -- but suggest we need to go beyond our narrow 20th century mindset about how the meter is used. Instead of continuing to to unilaterally impose prices -- even if based on smarter metering -- I suggest we apply our smarter meter to engage the reader in a more cooperative approach to our value exchange relationship. A "sophisticated, data driven approach to revenue" to achieve "a dynamic value exchange"
As Skok says, a greater emphasis on "high journalistic or engagement value...makes the notion of having binary on-or-off paywalls and press releases touting '10 free articles a month' seem antiquated." Better learning and analytics enable publishers to drive toward "the ideal value exchange...and then serve [any visitor] a dynamic meter accordingly." That is a smart adaptation of the advanced methods that are increasingly common in all kinds of online marketing to consumers -- but it still has a premise that I suggest is antiquated. Skok's analysis clearly reflects the nature of journalism as an experience good in which the value proposition is very personalized and dynamic. But no matter how well we apply sophisticated learning and analytics, we can only make an informed guess at how to see value through our reader's eyes. Why not use all of that data -- but complement it with the knowledge of the reader, who understands the experience of their own value perceptions and usage context far more directly than even the most sophisticated publisher possibly can? Instead of trying to psych out the right price (or price schedule) to offer the reader, why not cooperate with them to agree on the right price (or price schedule)? 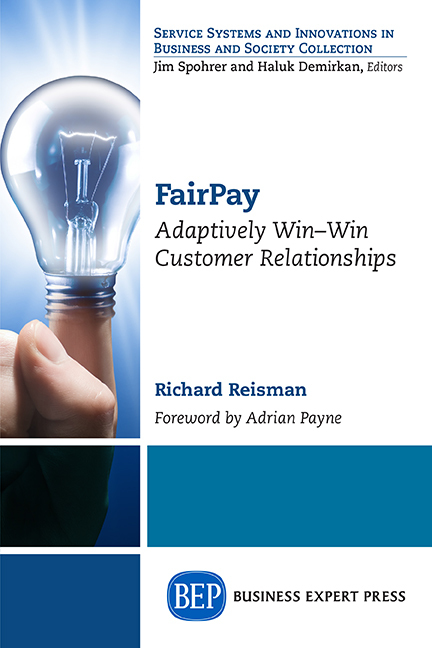 FairPay draws on recent findings in behavioral economics that suggest that pricing is most effective, and builds greatest Customer Lifetime Value, when it emerges through a dialog with the buyer in a win-win process. Such dialog was standard practice through most of history -- before the advent of mass-marketing sacrificed the naturally cooperative nature of commercial relationships. We already see this re-emerging today in the principle of “value-based pricing” that is now becoming a best-practice in many B2B markets. FairPay offers a new way to make a similar approach workable and scalable for mass consumer markets. This is particularly relevant for digital experience goods such as journalism (especially since digital goods have negligible replication costs). Skok points to how modern methods can make seller-set pricing very sophisticated in predicting/anticipating consumer value. FairPay suggests that even perfectly sophisticated seller-pricing is not as accurate or effective as joint value-setting. Seller-set pricing fails to fully exploit the buyer’s unique knowledge of received value, and is unable to motivate the cooperative "customer-first" relationship that joint value-setting does. Learning and analytic methods can be used to suggest prices to the reader, and frame why those suggestions are fair. Instead of being unilaterally imposed, take it or leave it, they can be presented in a way that invites the reader to agree, or explain why they disagree. The most appreciative readers may wish to pay even more share of wallet, to support the work they value highly. Large numbers of would-be customers, who would otherwise walk away, can agree to pay a bit less generously, but still add some profit that supports the creation of more journalism. This value setting process can reflect a fully dynamic meter, of the kind Skok suggests -- one that includes reverse meter values (such as advertising attention, viral shares, UGC, and the like). Customers will gain satisfaction and be more loyal when they see that the publisher is putting the customer first, and seeking to find a fair value exchange specific to each individual case. Readers who enter this FairPay Zone can do so at any level of usage, with corresponding prices. It acts as a totally personalized paywall/membership/patronship option with terms that are cooperatively agreed to. 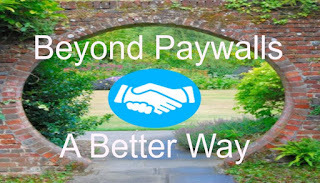 Even readers who "despise" paywalls will likely find the win-win process of the FairPay Zone agreeable -- a truly customer-first, 1:1 experience that centers on value. This can reduce cost-per-acquisition, better convert visitors to subscribers, increase reader satisfaction, reduce costly churn, and thus truly maximize CLV. 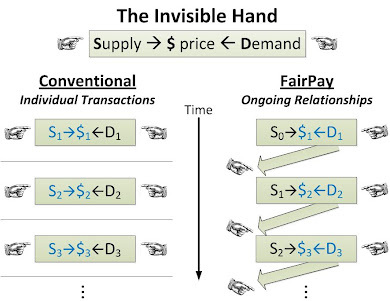 Instead of the old invisible hand, think of this as an invisible handshake. This FairPay Zone would coexist with conventional seller-set pricing (paywalls, membership, and/or meters). Those would apply at the reader's discretion for those who do not wish to opt in -- and at the publisher's discretion for those who do not demonstrate willingness to play the FairPay “game” fairly and cooperatively. Such alternatives could be any combination of unlimited subscription or per item deals, much as Skok outlines. For those customers who are not ready and willing for the cooperative path of FairPay, that path will remain best practice for some time. 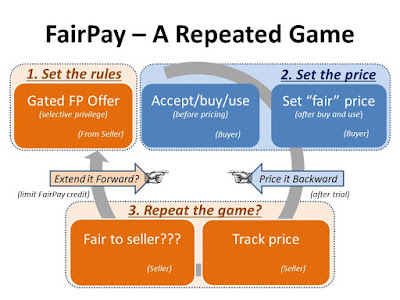 Established findings in behavioral economics and game theory provide strong reason to expect that FairPay will be very effective. It is a unique combination of proven elements -- that combination has not yet been fully proven in practice, but can be done with low-risk controlled experiments and then scaled from there, as explained in my book.